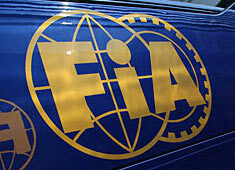 Because a mistake of the FIA, the secrets of Ferrari and McLaren are to be read on the internet. The Italian newspaper 'Corriere della Sera' was able to obtain a non-censured copy of the transcripts of the special World Motor Sport Council hearings about the espionage case. The FIA, who put online the transcripts of the WMSC, made the mistake to put online the non-censured copy. After noticing their mistake, they immediately erased this version, but too late it appears as the 'Corriere della Sera' published parts of the secrets of Ferrari and McLaren. If you want to read the secret information, you can do so by visiting this link http://www.corriere.it/download/sentenza13-09-2007.pdf For example, on page 28 in the censured copy Nigel Tozzi says: "He was paid around ... pounds per annum. Is that correct?" When you copy the text and paste it in word you get: "He was paid around 300 000 to 400 000 pounds per annum. Is that correct?" The salary of Mike Coughlan wasn't the only passage in the document that was censured. Also the weight distribution of both McLaren and Ferrari's 2007 challenger and other technical details were censured by the FIA.